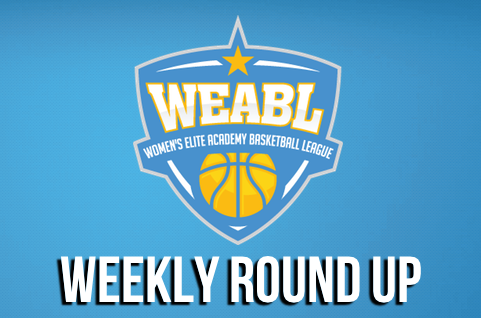 After taking a break for a round of AoC Sport Premier Cup fixtures last week, the WEABL returned to regular season play on Wednesday 28 November for Week 8 action. Manchester and CoLA grabbed a narrow wins, while a lop-sided East Midlands derby went the way of Charnwood. Manchester Mystics Academy evened up their season record at 2-2 as they fought back from behind to prevail over Myerscough College on Wednesday, as Jade Mbam, Chloe Andrew, and Lina Asobirionwu combined for 57 points on the way to a 66-62 victory for the hosts. Manchester trailed for long periods of a tight game came down to the wire in the final stanza when, after trading early scores, the hosts would break off a 13-0 run spanning five fourth quarter minutes to storm into the lead behind intense half-court defence; their first lead of the afternoon. The final three minutes would see the sides trading scores as free throws continued to be a factor in the contest, but the Mystics held their nerve to seal a come-from-behind result in which they lead for just four minutes. Manchester were led in scoring by 24 points from Jade Mbam, while Chloe Andrew added 21 and Lina Asobirionwu chipped in 12. Myerscough were paced by Paula Puzule’s 19 points, supported by 17 from Kyra Smith 17 as Sasha Lecuyer contributed 16. Charnwood College continued their solid start to the WEABL Northern Conference campaign as their winning streak increased to three games with a 65-19 victory over Nottingham Academy. An even start to the game saw Charnwood holding a narrow lead at the half-time break, before the second half became an extremely one-sided affair. The defeated Nottingham side struggled to battle through as the Riders kept them to just five points in the half as the hosts ran away with the game. Charnwood were paced by 15 points apiece from Megan Jones and Holly Wright, while Niamh Kelshaw chipped in 11 and Imogen Cook had eight. Meanwhile, seven points from Shaniya Rose led the Nottingham effort, as Brahe Ashton added six. Barking Abbey School fell to a disappointing 46-50 loss to a well-organised City of London Academy team on Wednesday afternoon, as CoLA improved to 3-1 on the season. The visitors led by five at the half, 24-29, before a back-and-forth affair in the second half which saw CoLA dig in defensively in the last quarter to hold Barking to just seven points as they pinched the narrow victory. CoLA were led by 15 points from Maya Hyacienth, as Megain Haines supported with 12. Loren Christie had a game-high 16 points to lead Barking, while Lily Annim chipped in nine.